It’s been 9 years when I left my home town, Odiongan, Romblon. It a year or two before I can go back due to workload. Of course, there’s no other place like home, right? Sharing a short Romblon travel guide and itinerary. Photo above was taken on Montenegro Lines ordinary cabin. This is not a usual face of journey with Montenegro; a lot of passengers were going home to witness the annual Kanidugan Festival, in Odiongan. There are two sea vessels transporting people and goods to Romblon, Montenegro Lines and 2Go. For Montenegro Lines, you can buy tickets at Batangas Port and has routes to Odiongan (Tablas Island) and Romblon, Romblon, with 3PM and 5PM departures respectively. For 2Go Company, booking tickets can be done thru their website >>> 2Go. Few decades ago, when my Tatay was still working as a carpenter here in Manila, every time he goes back home, usually he buys two buckets of assorted biscuits, the one inside the tin can not plastic. Well, it was few decades ago, but in this modern time I am still seeing people buying these as pasalubong to their love ones. So sweet right? Romblon is one of the most promising provinces in the country in terms of beautiful beaches and other attractions; from the marbles which is the number one product of the province, Mt.Guiting-guiting, the country’s most technical mountain. 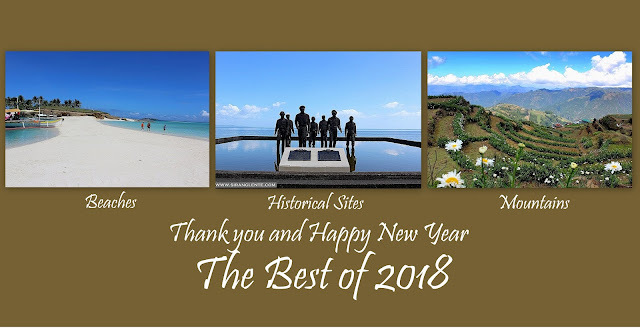 Must visit beaches and resorts in Romblon are Crestade Gallo sand bar in Sibuyan Island, Sapatos – a shoe like rock formation perched in the water of San Andres, Aglicay Beach in Alcantara, Fish Sanctuary in Looc, and Binucot Beach in Ferrol. If you're looking for scuba, Romblon, Romblon has it. List of Cheap hotels and resort in Romblon will be uploaded soon!